Animal Wildlife | Monitor Lizard | Monitor Lizards are large reptiles found in Africa and all across Asia, including the surrounding seas. 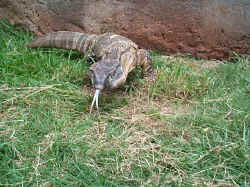 The monitor lizard is mainly found in jungle areas although some species of monitor lizard are water-bound. Some species of monitor lizard are thought to carry a fairly weak venom, for example, the komodo dragon which is the largest of the species. The komodo dragon is native to the small Indonesian island that it is named after and is the largest species of lizard in the world. According to legend, monitor lizards were a sign that there were crocodiles close by, possibly due to their standing on their hind legs to monitor their surroundings. 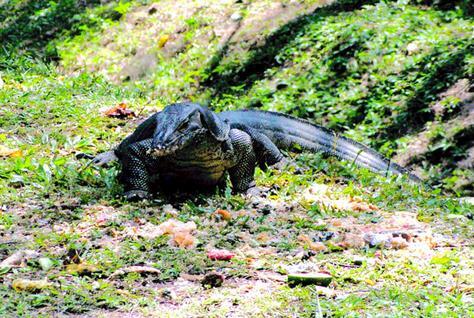 Monitor lizards do this so that they are aware of any approaching predators. 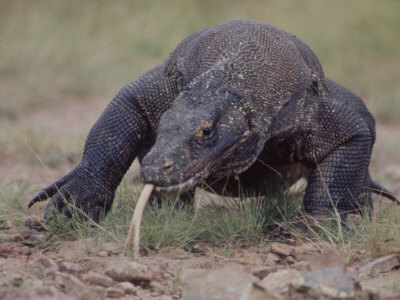 Although many species of monitor lizard are quite big, some species of monitor lizard are smaller than 20 cm in length. Monitor lizards are extremely versatile animals and monitor lizards adapt well into different environments. Most species of monitor lizard have a predominantly carnivorous diet, eating eggs, smaller reptiles, fish, birds and small mammals. 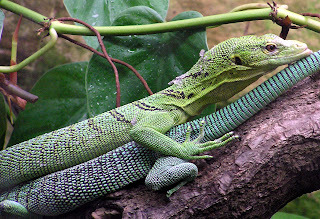 Some species of monitor lizard also eat fruit and vegetation depending on where they live. 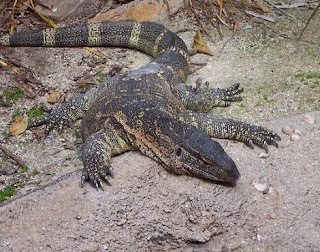 Female monitor lizards bury their eggs in holes or hollow tree stumps that the female monitor lizard then covers with dirt in order to protect her eggs. Monitor lizards can lay up to 30 eggs at a time, although many monitor lizards lay less, and only a lucky few of the monitor lizard babies tend to survive. 0 Response to "Monitor Lizard"